“Lost Boys” a vector portrait by Corey Watson / Laserblood. Print available. 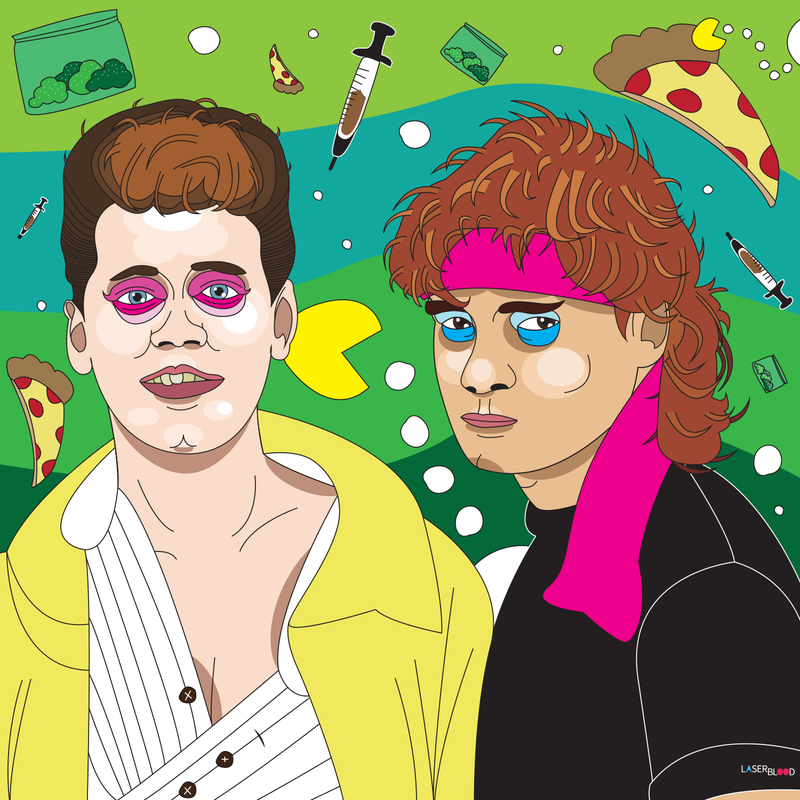 The year was 1987, America’s favorite duo of Corey’s had just got done with The Lost Boys, the world a technicolor haze of delivery pizzas, slamming & playing horse, cheeseballs (that’s cheetos and heroin), more blow than a hurricane, nickel bags the size of trash bags and endless quarters at the arcade.